The 7 Minute Life has produced an organizing tool for adults to help them focus their priorities. 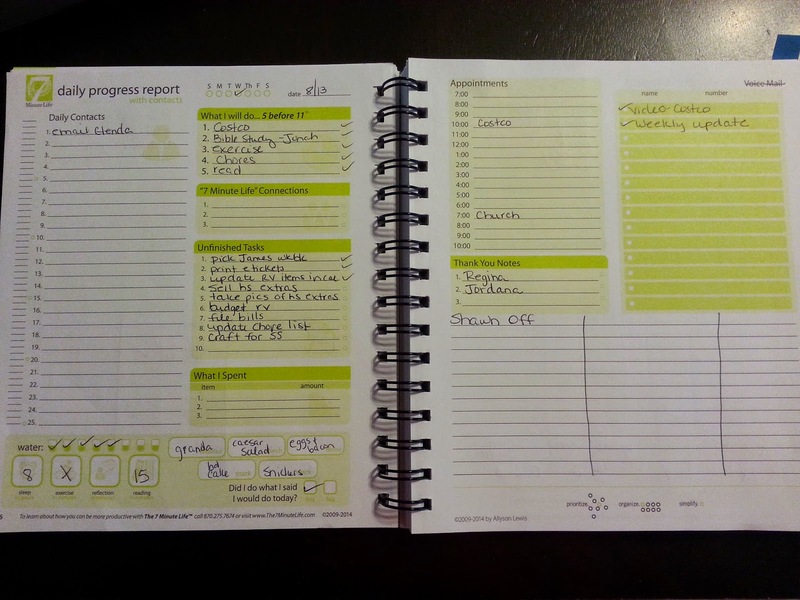 I recently had the opportunity to review The 7 Minute Life Daily Planner. I love planning. It's the follow through that often will trip me up. That's where the beauty of The 7 Minute Life Daily Planner really shines. 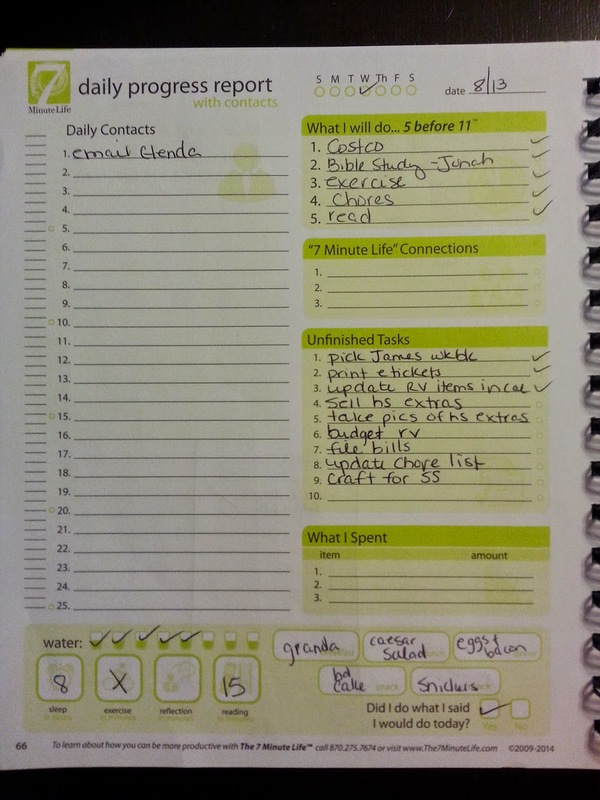 The planner was developed after Allyson Lewis, founder, was doing research for her book, The Seven Minute Solution. While researching, she found an article that said the average person's attention span was only 7 minutes. 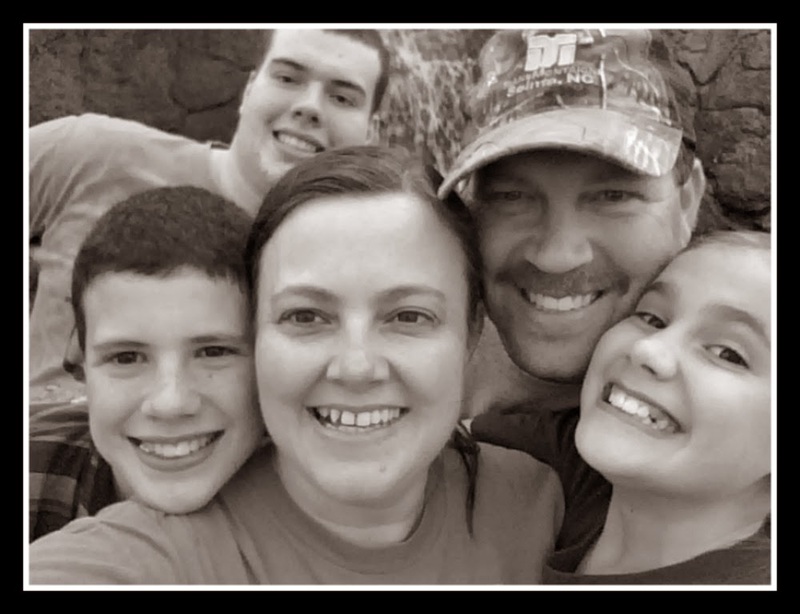 This study hit her so hard that she developed the 7 Minute Life System to help herself and others accomplish the goals and priorities for their life. The planner is designed to help you create a written plan of action to focus on the life you were meant to live. That life will look different for all of us so the planner takes you through what they coin as the architect and the contractor versions of your life. As an architect, you will think of what you want to do and write out a plan to accomplish those goals. As the contractor, you simply do the work that you planned. 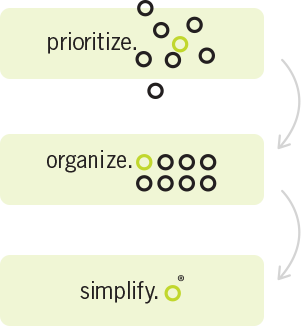 The entire planner is structured around the simple process of Think-Write-Do. You must take the time to think about what you will do, write down the action steps of how to accomplish those tasks, and then take the action to complete them (do). Here is a great video explaining more on the 7 Minute Life. The goal of The 7 Minute Life Daily Planner is to provide time management strategies to help you Prioritize, Organize, and Simplify your life at work and at home. 1) Prioritize - you will go through a list values and rank your top 10. 3) Your Highest and Best - you will work through the best use of your time right now by deciding what you love to do most, what your strengths are, what your highest value activities are, and how you like to be rewarded best. 4) 90 Personal Goals, 90 Day Work Goals, Financial Goals, & Life Goals - The planner is set up as a 90 day planner so here you would list out the goals you hope to accomplish in those 90 days. You also list out 5 action steps for each goal. The Daily Progress Report Pages take up most of the planner. Each day is set up as a 2 page set up. 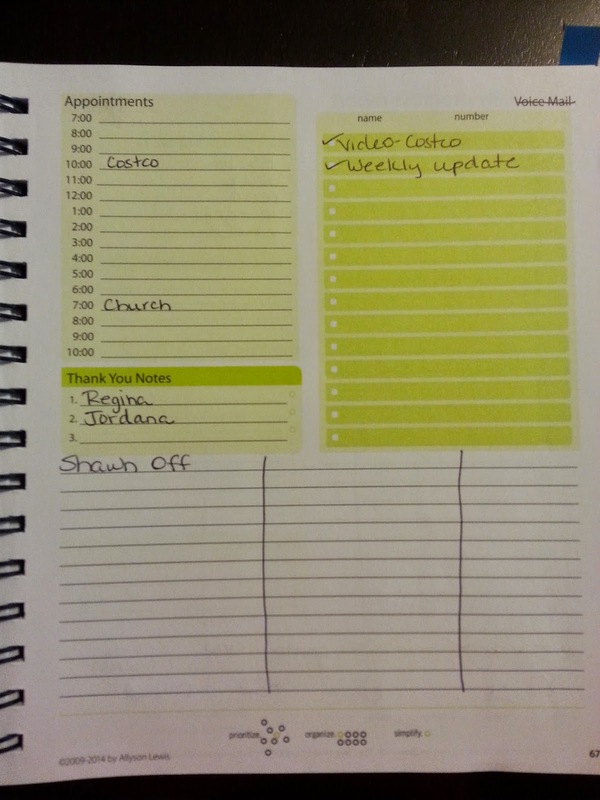 I adapted the planner to work for me as a personal planner since I do not work outside the home. 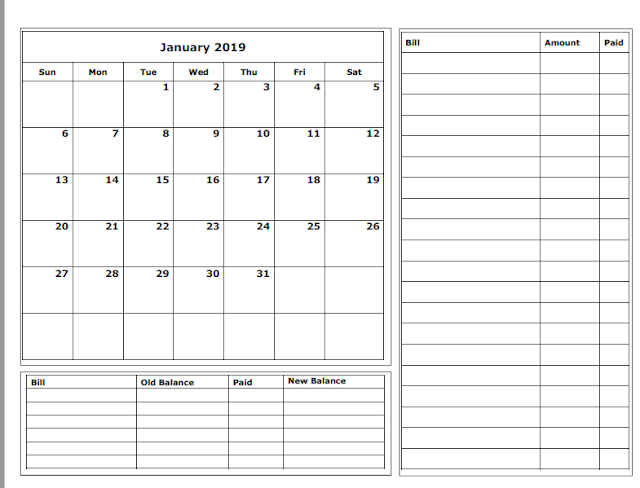 I did this by using several of the sections a little differently than they were intended for such as I changed the 90 Day Work Goals sheet to our 90 Day Homeschool Goals Sheet and Unfinished Work Tasks became Unfinished Homeschool Goals. My favorite part of the planner was the focus on the 5 before 11 section. Here you were to list 5 tasks that you wanted to have accomplished before 11:00 am. You take 7 minutes the night before to list these and base them on your 90 day goals. I am continuing to struggle with consistency in my walking time so that was a big priority for me and always ended up as one of the tasks in my 5 before 11 section. Having it done before 11:00 am allowed me to not keep pushing it down the timeline and then not getting it done at all. I also changed the Voice Mail section to be my YouTube and Blog Update Section. I placed a list of tasks here that were strictly for those items. I did not need as much space as was given for the Daily Contact section so I used half of that section to indicate anything to do with review items such as when Vendor Interest Forms were due, when reviews were due, and when reviews were set to be shipped. This has helped so much with keeping on top of these tasks! This planner has lots of videos to walk you through and encourage you to focus on what is important in your life. It helps you to write out a plan and steps to put that plan in action. By taking just 7 minutes each day to focus on your goals and plan action steps to accomplish them, you can start checking things off your huge to do list! 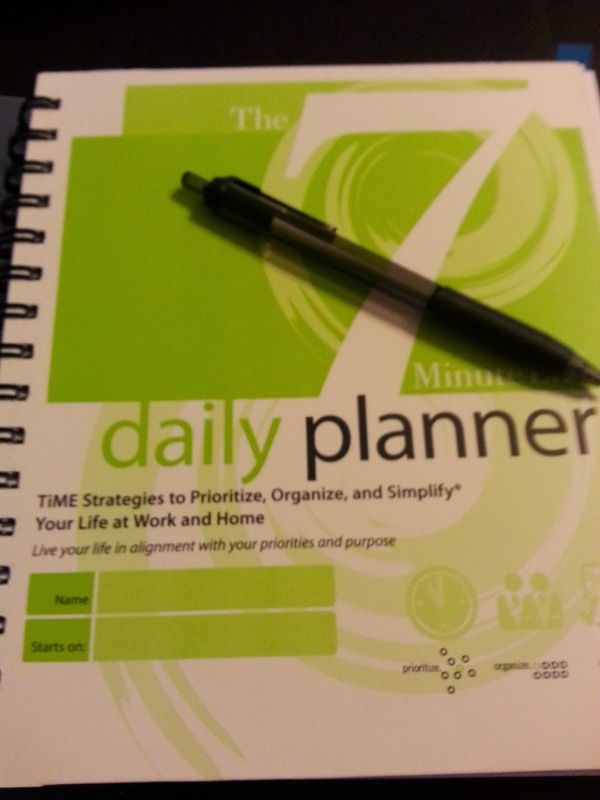 You can purchase The 7 Minute Life Daily Planner for $24.95 plus shipping. This is the 270 page undated version that comes in paperback with spiral binding that I reviewed. It is also available in a downloadable format, and as a part of the 7 Minute Life System. You can find out more about those here. We at T7ML would like to thank you for your time and your honest feedback.